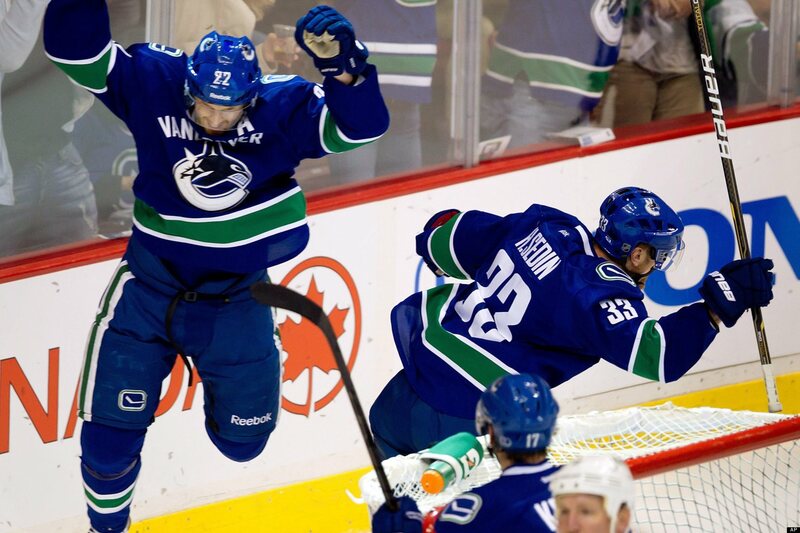 Looking for some Sedinery, the Canucks finish their California road trip tonight in Anaheim. It’s another Pacific Division battle tonight as the Vancouver Canucks and the Anaheim Ducks meet again at the Honda Center for the third time this season. The Canucks lost the first two meetings, including one on January 5th in which they a gave up the game-tying goal with 87 seconds left in the third period and the game-winning goal with 1.3 seconds left in overtime. The Ducks are hot, hot, hot. They’ve won 7 straight games and have vaulted to the top of the league, past the Chicago Blackhawks. They’ve been unstoppable at home. After their 1-0 shutout of the Detroit Red Wings on Sunday, their home ice record now stands at an impressive 19-0-2; the league record for points-streak on home ice to start the season is 26 games. The Canucks lost a well-fought game against the Los Angeles Kings on Monday night, but were pleased with how their physicality. The Canucks are going to need more that tonight, especially as big Ryan Getzlaf, who sits 4th overall in the NHL in scoring (23 goals, 30 assists, 53 points in 44 games played) will return from injury tonight. On Monday night against the Kings, the Canucks had 69 minutes of penalties and gave LA almost 15 minutes of power play time. The Canucks managed to kill them all, and their league-best penalty kill continues to stand strong with a PK rate of 89.7%. Despite the Canucks’ skid, Eddie Lack has certainly done his part, allowing just one goal against in each of his past two games. With Roberto Luongo still on the mend (according to Torts, he remains day-to-day), Lack has remained strong in net, and his 2.12 goals against average and .924 save percentage are among the league’s leaders (8th and 11th, respectively). On the other end of the rink, Ducks’ goaltender Jonas Hiller hasn’t lost a game since December 3rd – a 14-game win streak – and has a sparkling 1.97 goals against average during this time. His is so far the second longest-winning streak in NHL history for a goaltender, 3 wins back of the NHL record. Roberto Luongo remains day-to-day, while Ryan Stanton, Jordan Schroeder, Andrew Alberts are all on injured reserve. Alex Burrows will not play tonight against the Ducks, but should return by Saturday against the Calgary Flames. Luca Sbisa, Bryan Allen, Sheldon Souray, and Viktor Fasth all remain on injured reserve for Anaheim.